Toyota's midsize Tacoma pickup had a strong month in June, showing that not all vehicle sales are slowing. For the month just past, Toyota's Tacoma garnered 16,443 unit sales, close to the model's historic sales peak, and higher by about 600 trucks than last June of 2016. The rest of the midsize truck market is a mixed bag in terms of sales. The GM twins, the Colorado and Canyon combined to sell 12,147 units. That number is down by about 300 units over last June of 2016. GM's Colorado and Canyon are no longer restrained by production, the models having caught up to buyer demand. With one exception. 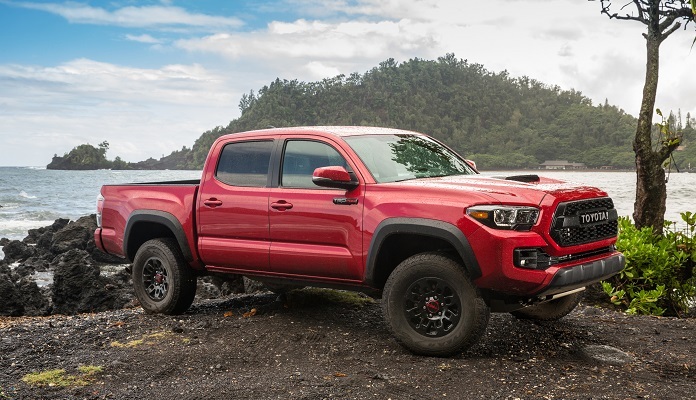 The Colorado ZR2 off-road truck is in very high demand after one month of sales. The Honda Ridgeline is proving that the Tacoma's sales success is not just due to brand loyalty. Ridgeline's "different but better" design is selling well for Honda. Torque News reporter Parks McCants noted that the Ridgeline is now back to selling at pre-recession numbers. The Nissan Frontier, last updated just before round tires were invented, is also proving that older, proven trucks are also in demand. The Frontier is actually challenging the Colorado with a healthy 8,144 units sold in June, almost exactly the pace it had last June.